Most people today live hectic lifestyles. Between work and time for family, there is little time left for indulging in personal luxuries. Since most people go home tired after a long workday, a quick shower is often enough to feel refreshed and ready for rest. That is why bathrooms are considered one of the most important spaces in any home. Many homeowners aspire to achieve a luxurious bathroom. Bathroom remodels are common, and a lot of people are willing to invest in modernising their bathrooms. For homes with limited space, shower pods are a good option instead of large bathtubs. Shower pods are a modern innovation of shower cubicles where prefabricated panels are attached to form the unit. These are convenient to install and requires no maintenance. 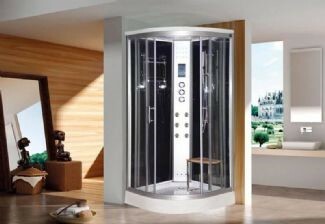 Another benefit of a shower pod is the variety of styles and designs available. Regardless of your design aesthetic, there is always a shower pod that can fit your style. Modern bathrooms with shower pods is a current trend which caters to the need of most people for convenience mixed with luxury. Gone are the days when shower pods were only commercial bathroom fixtures. Now they are a staple in private bathrooms. Take time to plan. Don’t rush the bathroom renovation. You need to prepare around a realistic time frame without sacrificing the quality of results. Similarly, purchasing a shower pod should be done carefully. Scrutinise all aspects related to the purchase such as the exact spot where you want to install the enclosure, the size, material, design, and shape. Seek expert advice. If it is your first time buying a shower enclosure, it is likely that you won’t know the first thing to look for, so to help you narrow down your choices and find what appeals most to your style, ask the assistance of an expert. Often, builders and suppliers can answer your questions about a specific model or brand of shower pod. Always make quality your priority. Don’t focus too much on the added features of shower pods. First, decide on the style, design, and size. Next, look for the specific model that fits the design and style you want. Compare price points but don’t sacrifice quality over price. If you want a shower pod that will last years of use, quality is still a paramount consideration in buying a shower pod for your bathroom. Finding the perfect shower pod does entail a bit of work, but it will be worth it in the end. If you take into account these tips, you are sure to feel satisfied with your decision.